Save up to 49%, why not try? Add depth and definition to your eye colour with FreshLook Dimensions zero prescription, stylish coloured contact lenses that introduce a new dimension to your look. 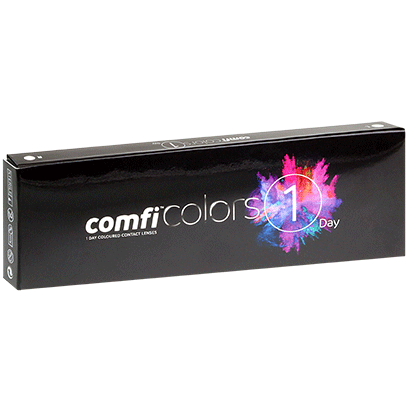 Available in this 2-pack for cosmetic use only, you can choose from a range of 3 exciting colours to achieve your desired look. 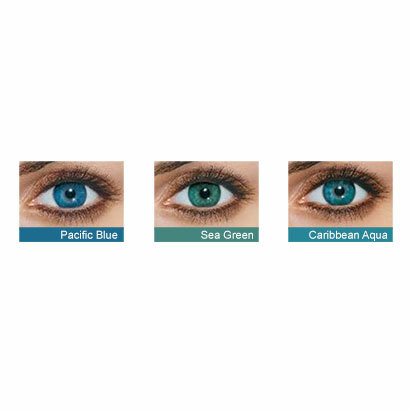 Created by Alcon & Ciba Vision, these coloured contact lenses are available in Sea Green, Caribbean Aqua or Pacific Blue. While the results will differ depending on your natural eye colour, skin tone and hair colour, the lenses work to add an exciting and engaging colour around your iris. A charcoal starburst pattern features on the outer ring of these colour contacts, brightening in colour as it progresses to the pupil, ultimately resulting in eyes that appear naturally larger and brighter. 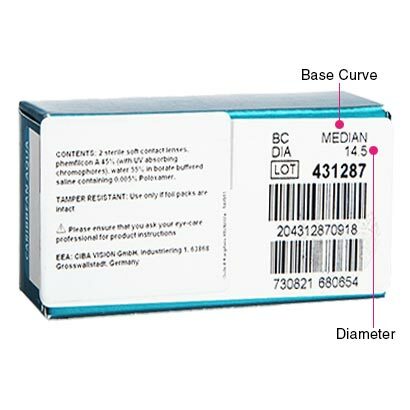 Ideal for first time wearers, FreshLook Dimensions plano contact lenses are easy to apply and comfortable to wear all day long, or for a long night out. Long-lasting hydration is provided by these monthly contact lenses, maintaining the freshness and moisture of your eyes throughout wear. Simply remove your lenses before going to sleep and leave them to soak in a suitable contact lens solution. This way, you’ll be sure of clean and comfortable contact lenses when you go to apply them next. 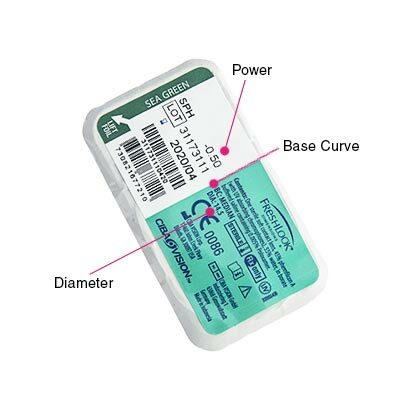 Why not use our best-selling comfi All-in-One Solution for taking care of your monthly contact lenses? 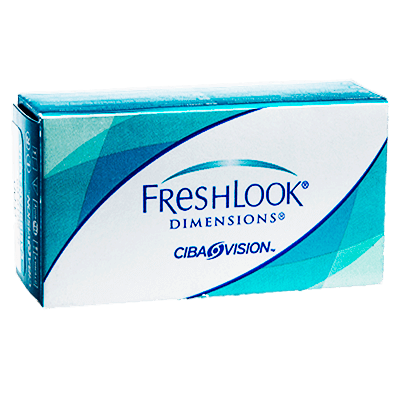 We also stock FreshLook Dimensions zero prescription in a larger 6-pack supply and in a variety of prescriptions for visual correction. Available for the guaranteed lowest UK price, save money when you buy cosmetic coloured contact lenses online cheaper at Feel Good Contacts. FreshLook One Day are a highly popular option for darker eyes and are also daily disposables. If you're looking to upgrade, why not try Air Optix Colors? These breathable silicone hydrogel lenses keep your eyes feeling fresh over even the longest day, or the latest of nights out. 4* only because not comfortable specially for one eye .